On October 11th, at 6 pm, Wim Wenders will be a guest at the series of lectures Menschen in Europa by the publishing group Passau. In the artist talk moderated by Tina Mendelsohn Wim Wenders will be in discussion with the art historian and managing director of the Wim Wenders Foundation, Laura Holtorf, and the Photographer Jim Rakete. 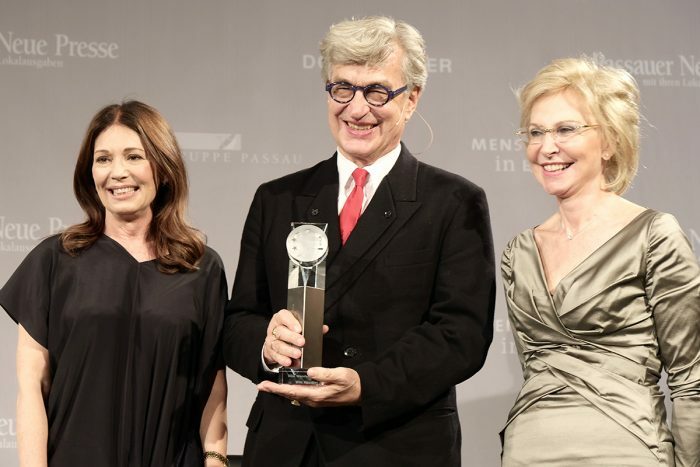 Following this, Wim Wenders will be awarded with the Menschen in Europa art award. The introductory speech will be given by Iris Berben, President of the German Film Academy. In existence since 2009, the award recognises exceptional achievement in the artistic fields. That evening the exhibition „Wim Wenders. WATER WORKS“ featuring a selection of water landscapes photographed between 1964- 2014 inaugurates and is on view until November 30th.